During his career, Mr. Ladd has been an agent, studio head and Academy Award winning producer. In this Film History Preservation Project Production, he shares an intimate oral history of the trials, tribulations, heartbreak and joy of bringing some of the most iconic and memorable motion pictures to the screen. 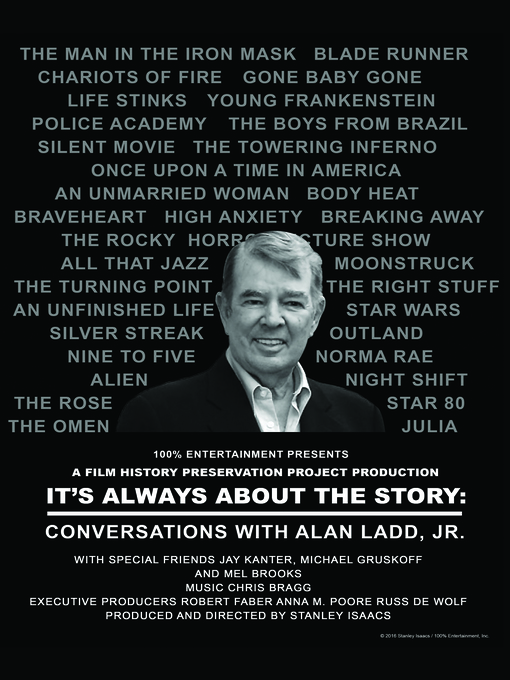 Mr. Ladd has been associated with films that have garnered over 150 Academy Award nominations and 50 wins. He has green lit or produced such iconic motion pictures as Star Wars, Alien, The Right Stuff, Young Frankenstein, Gone Baby Gone, and the Academy Award winning best pictures, Chariots of Fire and Braveheart.